Aqua Pools Online > Take a Test Soak! 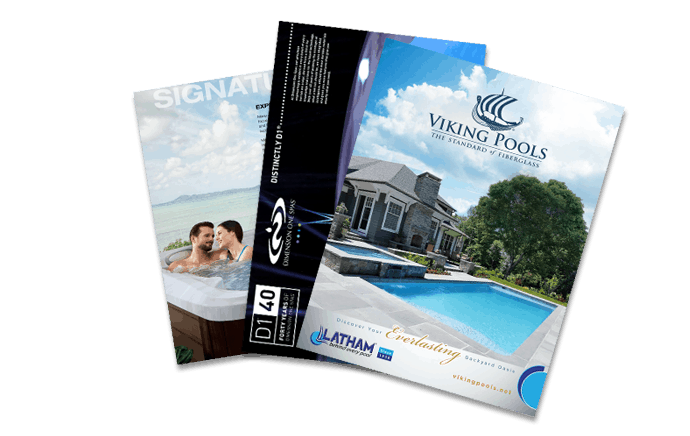 Starting your search for a hot tub or swim spa online, like you’re doing now, is the absolute best way to get an idea of what types of spas are available and which group or line best suits your needs and budget. You’ll also get a great idea of what extra bells and whistles you want to pony up for, such as audio or video equipment, towel racks, and lighting. But to narrow your search further, you’ll want to come to one of our showrooms and kick some proverbial tires. That’s why Aqua Pools offers prospective hot tub buyers a test soak. You’ll come into our showroom (bring your swimsuit and towel!) and test out the spas you’re most interested in. You can get a feel for the power of the jets, the placement of the seats, and the actual size of the tub. Those things are hard to tell from a picture online. This is especially true if you’re larger or smaller, shorter or taller than the average person. Manufacturers usually design their tubs to fit the “average” person. So taller, shorter, heavier, or lighter people might feel very differently sitting in the spa. Schedule a visit to one of our showrooms in Worth or Homer Glen to take a test soak and see which spa suits you the absolute best! Take a test soak today!